There has been a lot of talk lately about the cloud and its ability to put small to midsize businesses (Small Law Firms) and startups on a level playing field with large global enterprises. Can this be substantiated or is it a load of trendy hype to push Small Law Firms to cloud-based solutions? We’ve compiled this breakdown of how the cloud can be used to boost profitability. It once took smaller companies and startups weeks to launch and configure their own IT infrastructure. Doing so also required a ton of overhead costs. Today’s cloud technology provides the benefits of this very same infrastructure but on an as needed and on-demand basis. Small Law Firms can build a technology infrastructure for themselves online in less than a minute. Having that kind of agility bodes particularly well for the scalability needs of Small Law Firms. As business grows and the need to store more data increases, the cloud is flexible enough to resize your infrastructure on the fly and grow with you. The cost of cloud-based solutions is much more beneficial to Small Law Firms than the cost of traditional shared or dedicated hosting plans. 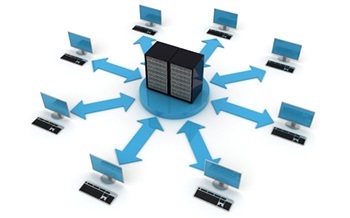 This eliminates the high overhead that comes with buying dedicated hardware and hiring staff to run the servers. Cloud technology has empowered Small Law Firms by eliminating any need to make the same kind of costly upfront investments that large enterprise are able to incur. There is no longer a need for Small Law Firms to spend thousands of dollars building out a massive infrastructure to support their big data applications. Better yet, backing up that big data is also inexpensive compared to traditional hosting solutions.